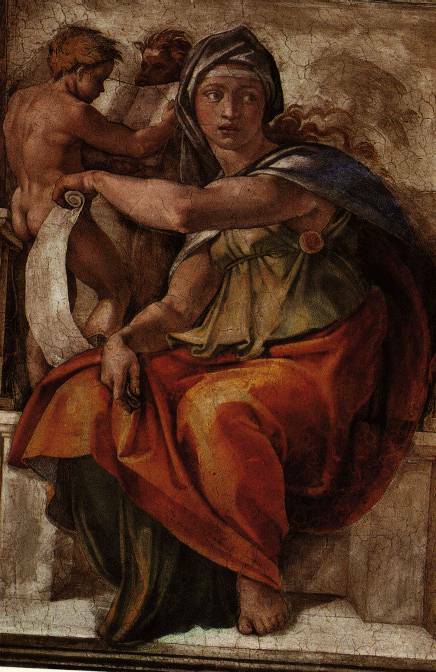 In full MICHELANGELO DI LODOVICO BUONARROTI SIMONI (b. 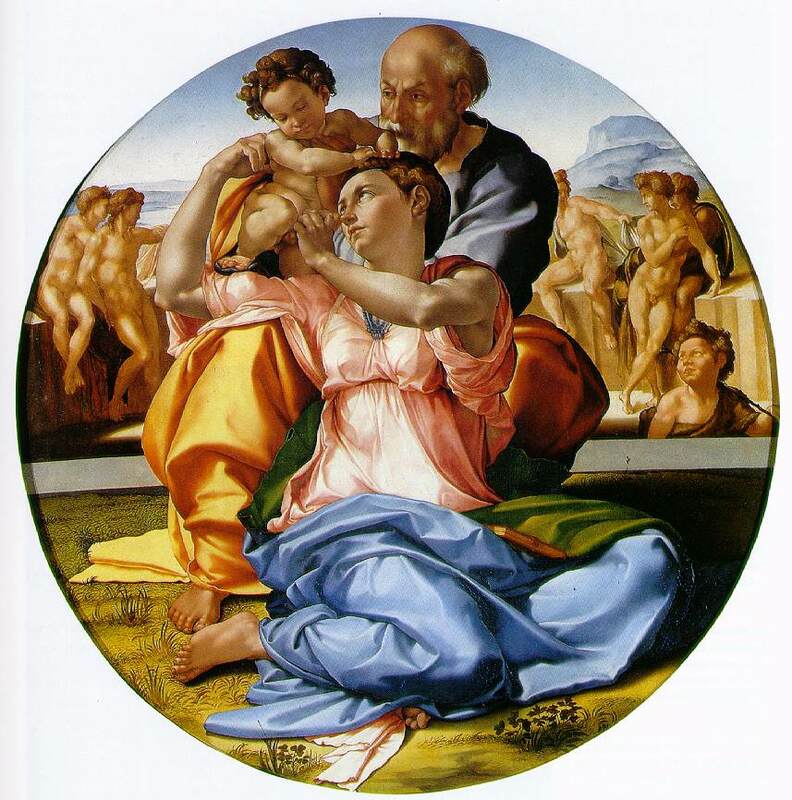 March 6, 1475, Caprese, Republic of Florence [Italy]--d. Feb. 18, 1564, Rome), Italian Renaissance sculptor, painter, architect, and poet who exerted an unparalleled influence on the development of Western art. Michelangelo began work on the colossal figure of David in 1501, and by 1504 the sculpture (standing at 4.34m/14 ft 3 in tall) was in place outside the Palazzo Vecchio. 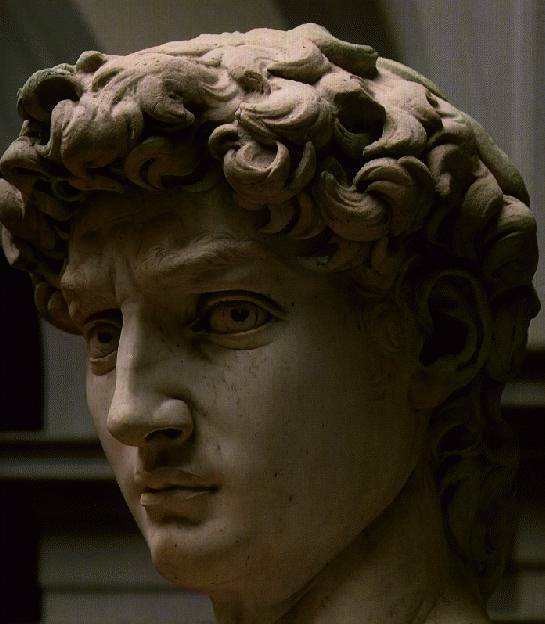 The choice of David was supposed to reflect the power and determination of Republican Florence and was under constant attack from supporters of the usurped Medicis. In the 19th century the statue was moved to the Accademia. Michelangelo painted the ceiling of the Sistine Chapel from 1508 to 1512, commissioned by Pope Julius II. On becoming pope in 1503, Julius II reasserted papal authority over the Roman barons and successfully backed the restauration of the Medici in Florence. 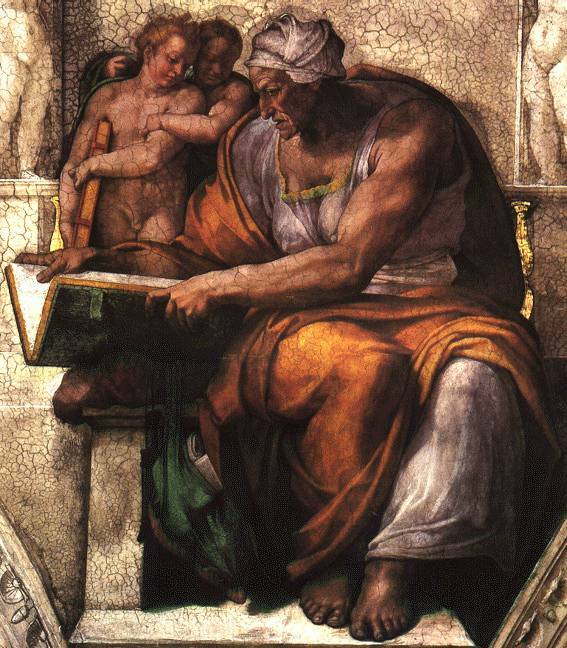 He was a liberal patron of the arts, commissioning Bramante to build St Peter's Church, Michelangelo to paint the Sistine Chapel, and Raphael to decorate the Vatican apartments. Sibyls were female seers of ancient Greece and Rome. They were also known as oracles. Like the Jewish prophets of the Old Testament, many sibyls had their sayings recorded in books. Jewish prophets spoke unbidden, whereas sibyls tended to speak only if consulted on specific questions. They sometimes answered in riddles or rhetorical questions.